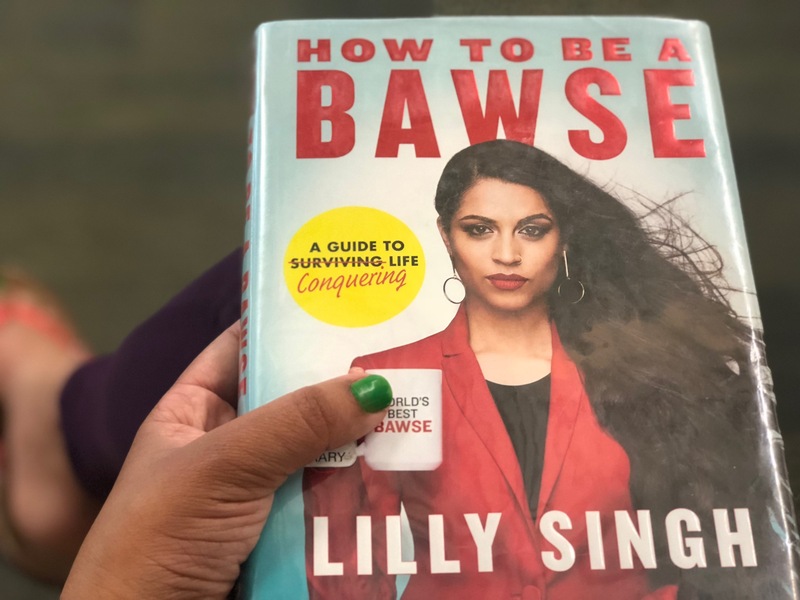 I recently read How to Be a Bawse by Lilly Singh and here’s a book review of this amazing book. Lilly Singh is a world-famous YouTuber, influencer and comedian who has made a mark for herself with her hard work, persistence and talent. I picked her book to learn more about this extremely inspirational girl boss (bawse as she calls it). Let’s first be clear that this guide to conquering life is meant for your professional life. Any one who is an entrepreneur, creative, content creator or has a big dream will really benefit from her tips. Lilly gives us stories from her life so that we see a practical application of each of her lessons. I loved this personal aspect of the book. How to Be a Bawse by Lilly Singh is beautifully laid out with images that relate to the text and colors that pop out. The visual appeal of this book also makes it an easy read and it does not drag as some self-help books start to do after a few chapters. You will really relate to the language and the tone of the book if you’re under 30 years of age. If you have a teenager who is aspiring to be a YouTuber, get them this book, so that they realize the magnitude of work and self-discipline that went behind Lilly’s success. If you’re above 30, read this book realizing that you’re not the target audience but there are many valuable lessons to be taken from this book. So if you’re planning to pursue a passion and/or have big dreams, do read this book and you will definitely feel inspired. I really enjoyed How to Be a Bawse by Lilly Singh. Have you read the book already? What did you think? Calgary folks: I got the book from the Calgary Public Library! Previous Post Teefa in Trouble: A No-Spoiler Review of the Pakistani Movie! I have also started my own business and learning new techniques of growing business so this book will help me, thanks a lot for sharing this book review. Most welcome and all the best! !